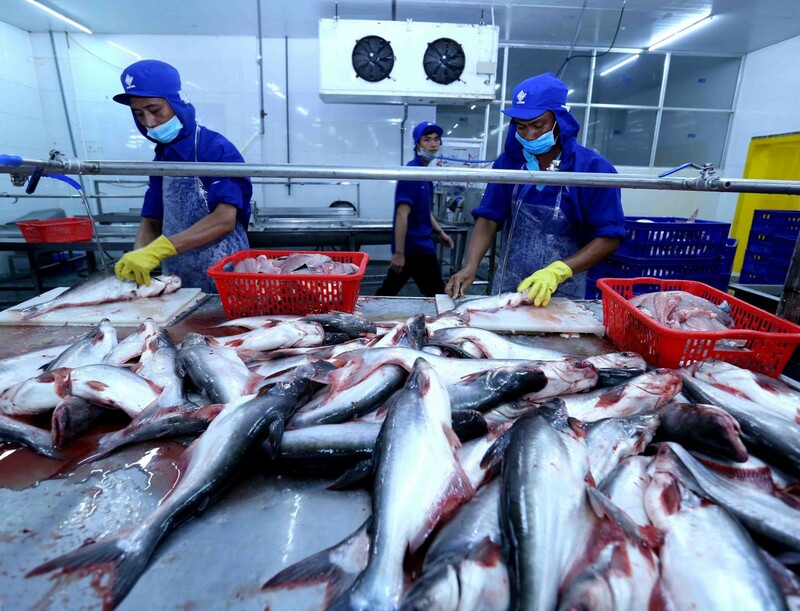 The Mekong Delta city of Can Tho exported 447.8 million USD worth of goods in the first three months of 2019, up 13.32 percent year on year, according to the municipal Department of Industry and Trade. Aquatic products and rice remained the key foreign currency earners for the city during the first quarter. Nearly 46,500 tonnes of aquatic products worth 132.57 million USD were shipped abroad, respectively rising by 27.29 percent and 10.78 percent against the same period last year. The biggest markets were Japan, Singapore, Mexico, Brazil, and Hong Kong (China). Seafood exporting companies said the shipment of shrimp and tra fish products has benefited from many preferential tariffs in other member countries of the Comprehensive and Progressive Agreement for Trans-Pacific Partnership (CPTPP) as from March. Therefore, they have been applying for certificates of origin to make use of such preferential treatment under the CPTPP, and they predict the aquatic export volume and value will rise sharply in Q2. Meanwhile, local businesses earned 88.6 million USD from exporting nearly 200,000 tonnes of rice during Q1, up 13.68 percent and 9 percent respectively. A majority of the rice was destined for the Philippines, Hong Kong, Papua New Guinea, and Malaysia. Rice exporters said most of their export in Q1 was under contracts signed last year. They expect many new contracts will be inked in Q2 and the delivery will be conducted in the following quarter.